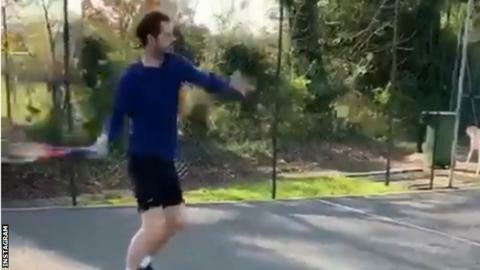 Andy Murray has returned to a tennis court just two months after hip surgery – albeit somewhat tentatively. In March, the three-time Grand Slam champion said he is “pain-free” following the surgery, but his chances of playing singles at Wimbledon this year are “less than 50%”. He added he was under “no pressure” to resume a career which has also seen him win two Olympic gold medals among 45 singles titles.